A day off and no bike ride should be considered a crime. Today I would have been served my papers but my alibi would be a very screwed up hand that could not hold onto a handlebar. I had my doubts this morning but got ready anyways. Breakfast (well... spaghetti) was a challenge to make and when I went to take off my lights from last night I figured out pretty quick that riding even on paved and multi use trails would be stupid. So in the end I bonded with my daughter and my camera on a photo journey. 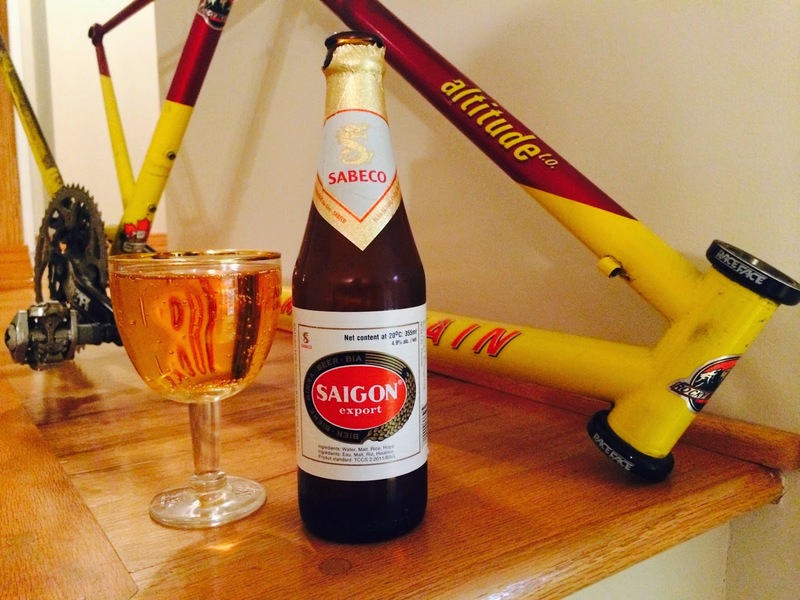 Saigon Export, brewed by the Sabeco brewery in Ho Chi Min city in Vietnam is owned mostly by the Vietnamese government. With the brewery being the biggest in the country I would expect there to be some sort of controversy brewing (ZZZING! See what I did there?) with the government owning most of it. Kind of reminds me of a certain airline in Canada. The pour was overly un-dramatic as opposed to being over the top over dramatic which is the case in 95% of lone biker beer reviews. Our newest intern Peter was fired immediately for trying to bring some pizazz to the pour by adding a fog machine to the mix. As I threw him out the door, my fists quenched and ready to strike yelling "LET THESE POURS HAPPEN NATURALLY! IT'S THE ONLY WAY!" The entire team of executives, junior executives, beer cleanup crews, and remaining interns understood that beer review blogging is no joke. 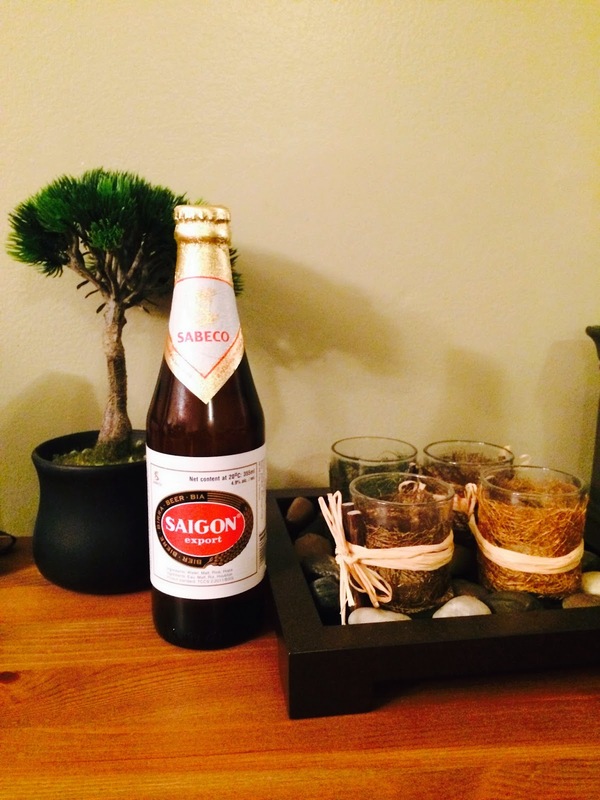 The taste was very similar to the usual Budweiser's, and Molson Canadians of our time. The pour was a clear indication of what was coming, and that would be crap. No lacing on the glass, no head, and a slightly watered down unimaginative beer made me even more grumpy no thanks to my left hand. this awesome frame deserves to be paired with an awesome brew, can i have a redo?